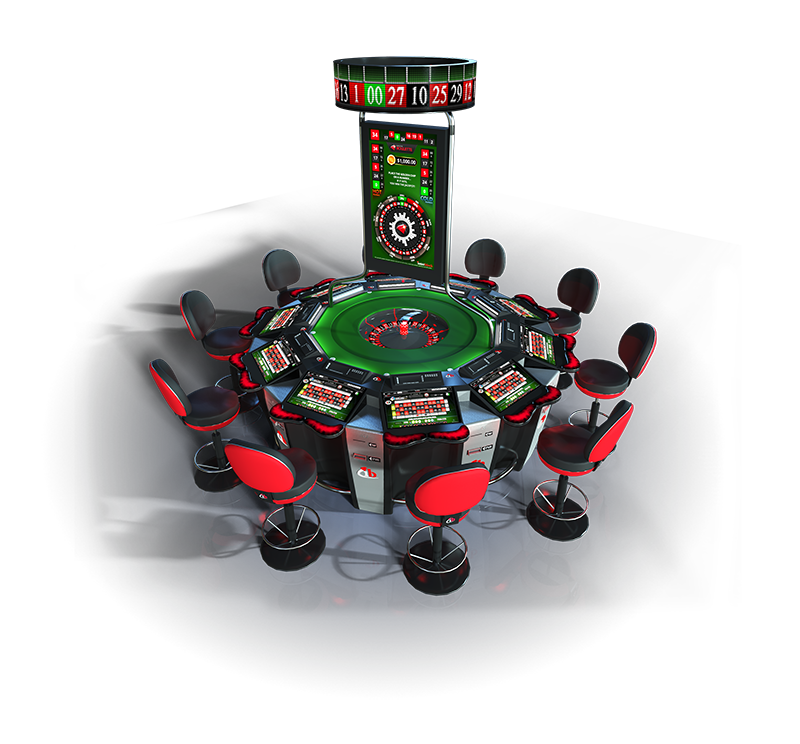 The MiniStar Roulette is available with 5, 6, 8 or 10 seats and with either a Single-Zero or Double-Zero Roulette wheel. 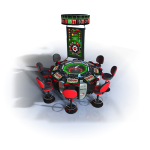 The MiniStar Roulette is built to accommodate any casino floor with a much smaller footprint. 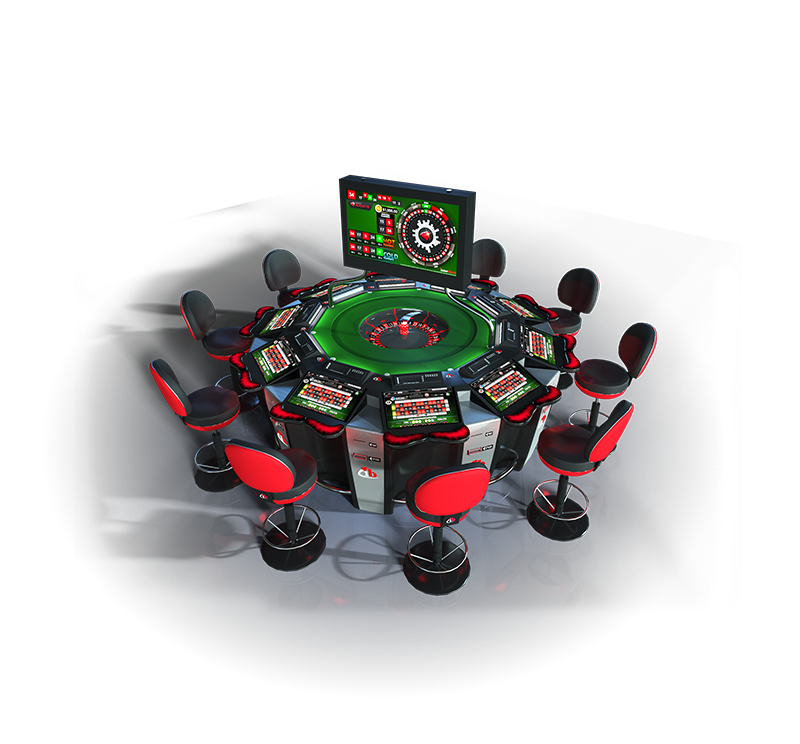 The product incorporates all of the same features of the Diamond Roulette. 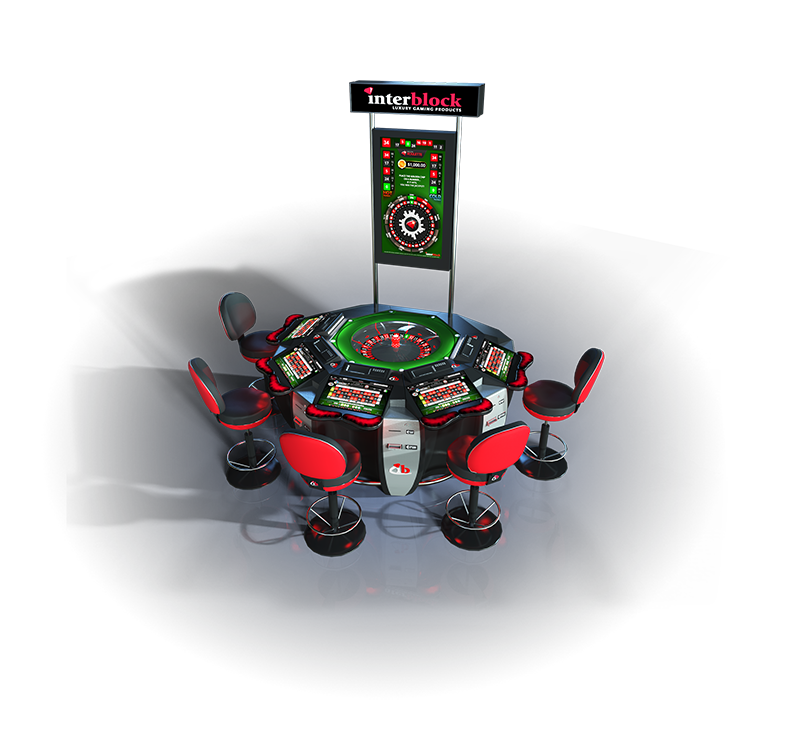 In addition, the MiniStar Roulette features color adjustable illuminated armrests, a progressive jackpot system (Golden Chip), faster result detection, additional side bets, excellent wheel visibility and an ergonomically designed surface. Pay systems include all well-known bill acceptors and bill dispenser and ticket printers, and the MiniStar Roulette also has a coin-handling system. 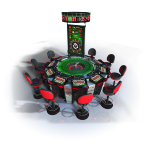 MiniStar Roulette consists of a fully automated roulette generator, which is surrounded by five, six, eight or 10 MiniStar Play Stations. 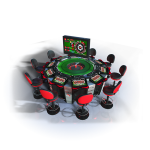 The Roulette generator enables in excess of 120 results per hour. 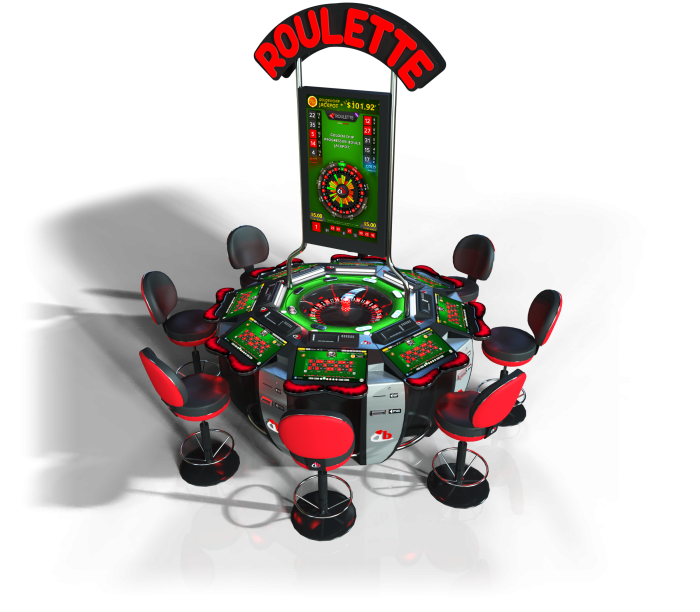 Roulette remains one of the most popular and easiest game to play on the casino floor. Single Zero Roulette consists of 37 numbers (1 to 36 and a single zero) and has a house edge of 2.70%. 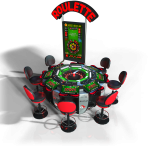 Roulette remains one of the most popular and easiest game to play on the casino floor. 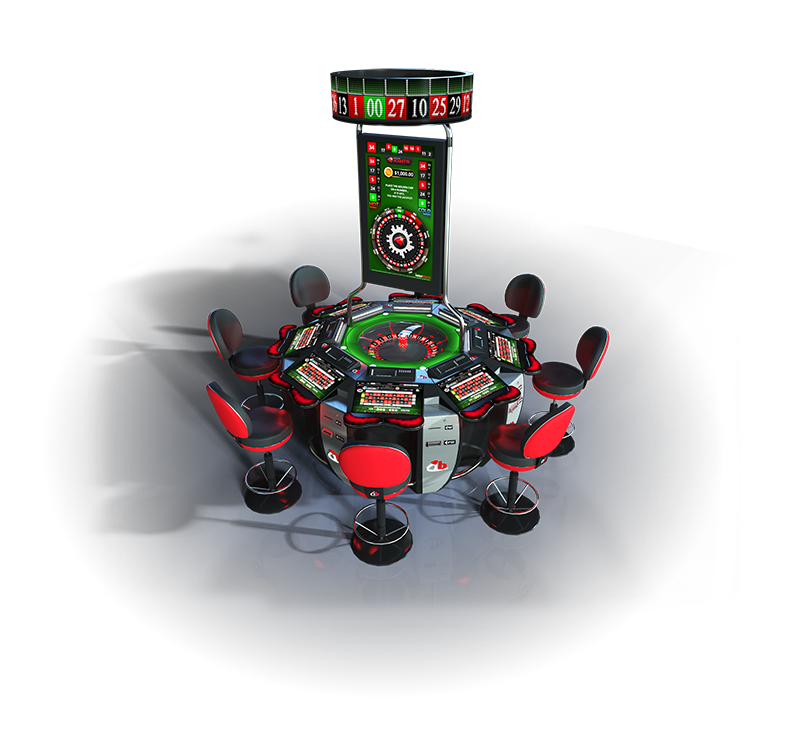 Double Zero Roulette consists of 38 numbers (1 to 36, a single zero and a double zero), and has a house edge of 5.26%. Touchdown Roulette™ is an exciting side bet for Roulette that improves the Hold on existing Roulette games. The side bet is themed around the popular game of American Football and does not interfere with basic Roulette play. Players can follow all the Football action with stunning animation and sound on a separate LCD display. A Roulette result of 0 or 00 triggers the Football game (0 or repeated number for single zero roulette). The game lasts 4 spins. The color of the next 4 roulette results determines the direction the football moves (towards Red or Black end zone), and the bigger the roulette result the more yards the football moves. The goal of Touchdown Roulette™ is to score a Touchdown. The closer the team gets to scoring a Touchdown, the more the player wins, with a Touchdown paying 1000:1. GOAL! 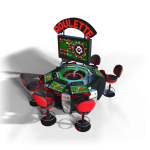 Roulette™ is an exciting Side Bet for Single Zero Roulette that improves the Hold on existing Roulette games. The Side Bet is themed around the popular game of European Football and does not interfere with basic Roulette play. Players can follow all the Football action with stunning animation and sound on a separate LCD display. A Roulette result of 0 or a repeated number triggers the Football game. The game lasts 3 spins, with a possible 4th shot on Goal Spin. The color of the next 3 roulette results determines the direction the ball moves (towards Red or Black Goal), and the bigger the roulette result the further the ball moves. The object of GOAL! 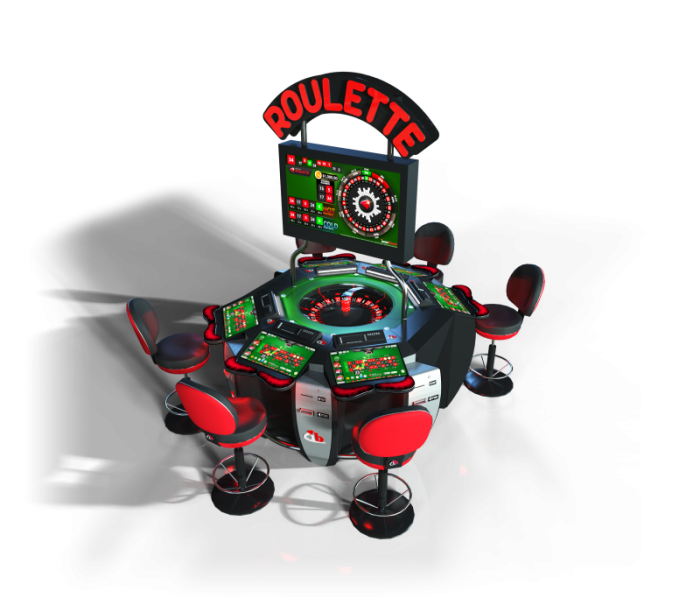 Roulette™ is to move the ball down the field, earn a Shot on Goal multiplier, and score a Goal! The closer a team gets to a Shot on Goal, the more the player wins, with a GOAL paying up to 500:1.